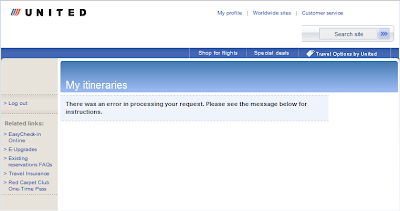 So, wanting to answer a question about my flight times for EuroPython I clicked on an email link to "My Itineraries". Thanks, United, this couldn't be clearer. Technology for Keeping People Honest? Google Wave: A Reason to Learn Java?